How has your week been? I hope it has been marvelous! 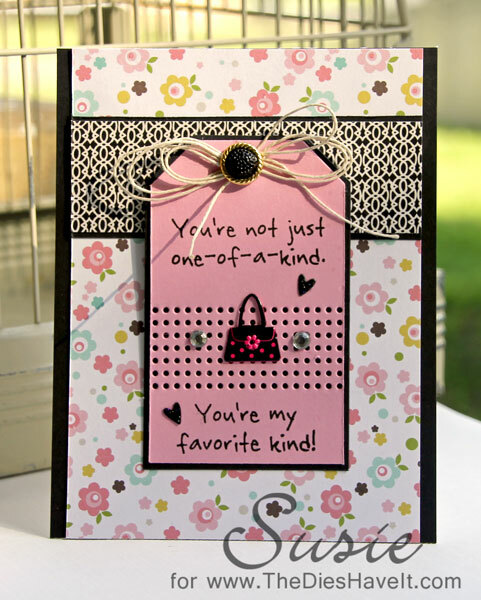 Just a really quick post to show you this card I made using the Eyelet Outlet Purse Brad on a card. This is part of a brad set that has lots of purses and shoes in it. Sometimes accents are a bit small - so it always helps to build up a background for them and that is what I did here. I love this technique!